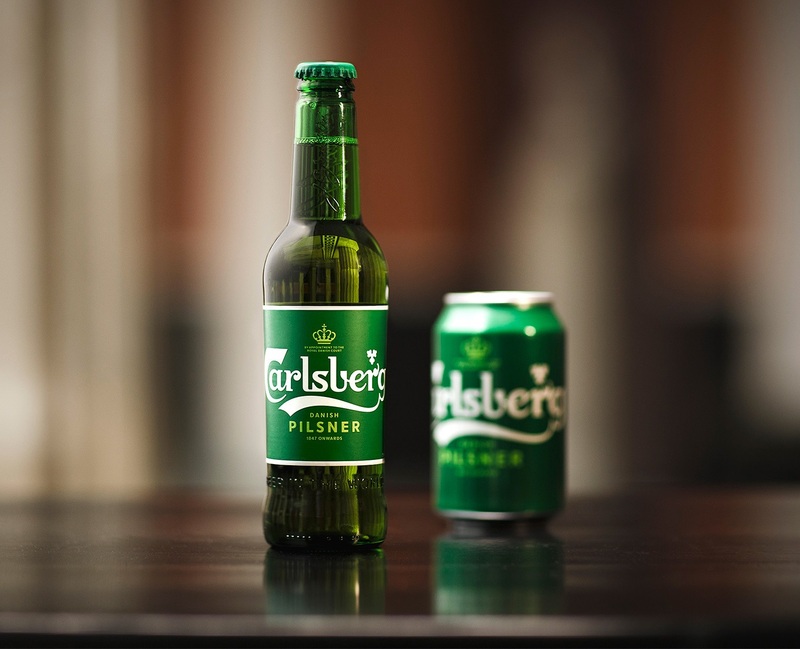 Carlsberg's better Danish Pilsner is here! Following extensive research into the brand's 171 year old heritage, Carlsberg's famous brand elements have been carefully re-crafted for the first tiime in a long time. Working with Taxi Studio, the aim is to strike a perfect balance between form and function. As Jessica Spence, chief commercial officer at Carlsberg Group, says: "The Carlsberg brand has an incredibly unique history. There's no other brand that played this sort of role as a turning point in the global brewing industry. That makes it a fantastic opportunity to work on." The aim, to be very much an anti-trend design. Completely re-brewed from head to hop, our perfectly balanced new Danish Pilsner is wonderfully crisp and refreshing, with a fuller flavour and a distinctive hoppy aroma. Carlsberg remains light and refreshing in taste with aromas of citrus and floral notes. As they say, a smooth and balanced Danish Pilsner!